Yangshuo Park is an interesting place to visit. Early morning you can witness the real morning Chinese life, such as locals (and often foreigners) practicing tai chi or kung fu, doing their Qi gong warming up exercises, walking, jogging or running, some singing or dancing and even students studying and practicing their English aloud. In the park, there is a nice trail leading to the pagoda on the summit of the mountain where you can have a bird’s eye view of the town. From the front of the park just wander in till you reach the childrens play area (to your left) You will see a path leading off past the childrens area, head down this path. After the monument you will pass along the way you will come to a small junction with the main path turning to the right and a smaller dirt path leading to the left and to the bottom of the karst mountain. You can stop about halfway up at a beautiful outlook spot, which reaches out from the mountain into the park, some of the views here in the early evening can be stunning! 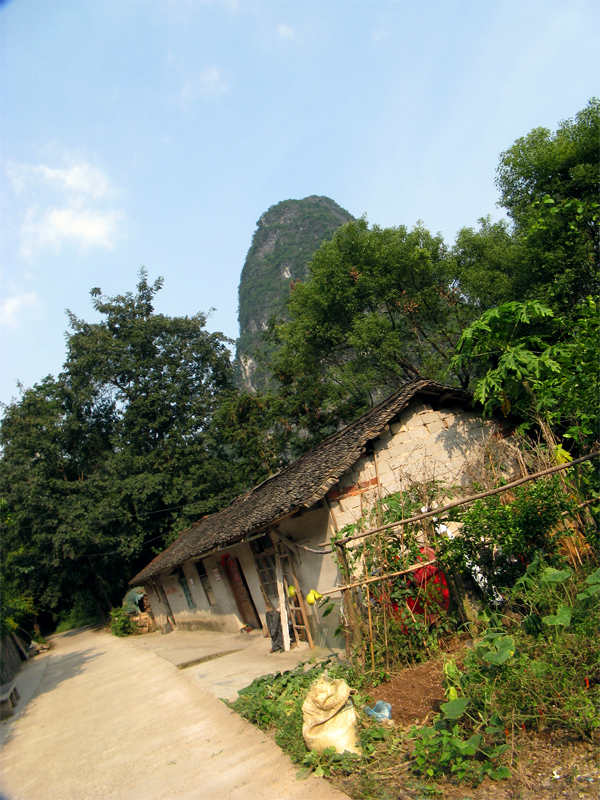 If you continue up you will reach a small pagoda at the peak which gives you a great view over the main road leading into Yangshuo and gives you a great feel of how the town has been slowly built up around the karsts. Yangshuo park is situated near the bus station with the main entrance opposite the bus station near the roundabout.